To answer the question we've often been asked since last year's Indian Auto Expo – Ford is all set to launch its much-anticipated compact SUV, EcoSport, on the 4th of March in Delhi. While the car has been ready for a few months now, the Ford management have been waiting for the Union budget to see if it will have any benefits for auto manufacturers or any new major shocks in the policy changes towards fuel pricing. Ford is keen to get the pricing of the car absolutely spot on specially considering the fact that the rivals like Nissan are readying a very affordable version of the Renault Duster, which could be a serious competition for the EcoSport in the near future. The company is keen on replicating the success of the Figo, which had undercut Maruti Swift’s prices by a handsome margin. To refresh your memory about the EcoSport's engine specs, it will come with two engine options – the 1-litre EcoBoost petrol that puts out a healthy 120bhp, which Ford promises will be highly fuel-efficient; and the 1.5-litre, 90bhp diesel, that's also found under the Fiesta's hood. The car will also boast 346-litre boot space with the rear seats up. The top-end versions will get features like Hill Launch assist, keyless ignition, alloy wheels along with ABS and airbags. There’s also the all-new Sync system with the stereo that connects to your Bluetooth-enabled phone or media player to play music, read text messages and, of course, make calls on voice commands. Last, but very relevant to our roads, the EcoSport boasts 200mm ground clearance. Though the American carmaker is keen on competitive pricing it is also aware that it can’t afford to cannibalize sales of its own siblings like its Fiesta Classic and top-end versions of the Figo, both of which still sell in generous numbers despite being of different segments. So, with a tight-pricing rope to walk, Ford dealers tell us to expect prices of the EcoSport base petrol to start at around Rs 5.99 – Rs 6.25 lakh (ex-showroom, Delhi). This smart pricing is part of the company’s smart strategy to take away a few customers from the Suzuki Swift’s base versions, which have a waiting period of over a month. The diesel could start between Rs 6.99-Rs 7.25 lakh (ex-showroom, Delhi). Ford is also keen on keeping the top-end diesel versions price below the Rs 10 lakh (ex-showroom) mark since cars higher than this price have to pay higher registration charges in Delhi/NCR (12.5 percent instead of 8.75 percent of the cars ex-showroom price). With this pricing, it's clear that Ford is all set to take away some customers from premium hatchbacks like the Hyundai i20, VW Polo and even the Suzuki Swift. 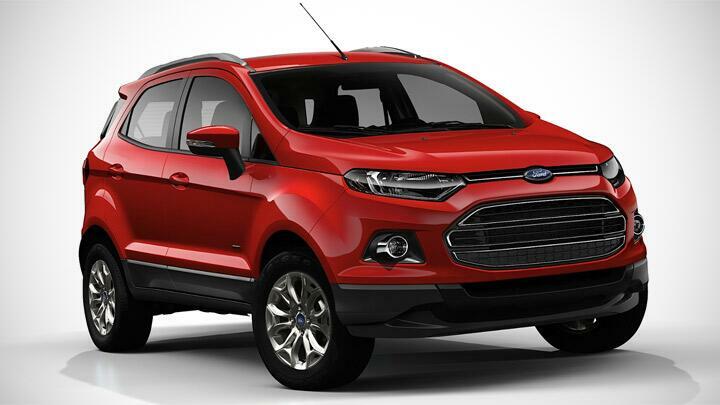 This pricing will also help Ford have an edge over the Renault Duster, its nearest competitor. Will Ford manage to do another Figo in this all-new compact SUV segment? Have your say in the comments below, Topgear.commers.